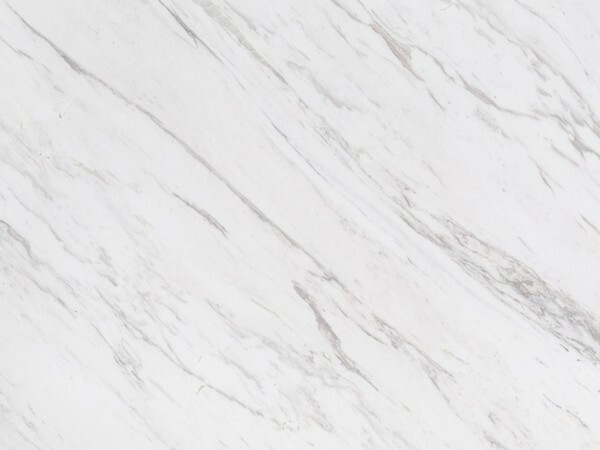 Appearance: With white background and warm grey veining mixed with warmer golden nuances, Bianco Patras marble is the ideal alternative to traditional and out-of-budget Calacatta Oro marble, but at a fraction of the price. Properties: Patras Bianco is a crystalised marble with the same mineralogical composition, chemical analysis, and physical and mechanical properties across selections. It is strong (Compressive Strength:1353 Kg/cm2), hard (Microhardness Knoop: 227.20 Kg/mm2) and durable (Abrasion Resistance: 5.96mm after 1000mm). Use: Due to its excellent performance and properties, Bianco Patras marble is suitable for most applications, both internally and externally, including floors, wall cladding, stairs, fireplaces, vanity tops and shower trays. Like most marbles, special care is required for kitchen worktops and other surfaces subject to acid liquids (e.g. lemon juice and vinegar), which would take the shine off and cause discolouration. This phenomenon occurs with all finishes, but is more visible with a polished surface.